Hi friend! I have another fun sewing tutorial for you today! 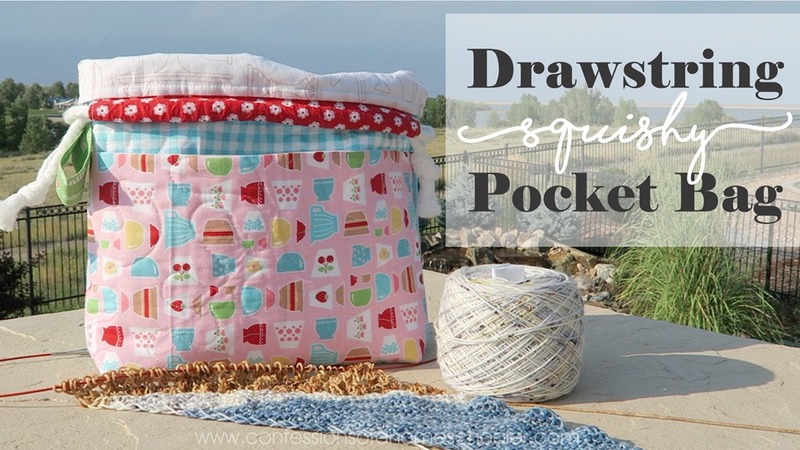 The Drawstring Squishy Pocket Bag is super easy and only takes about an hour to make! 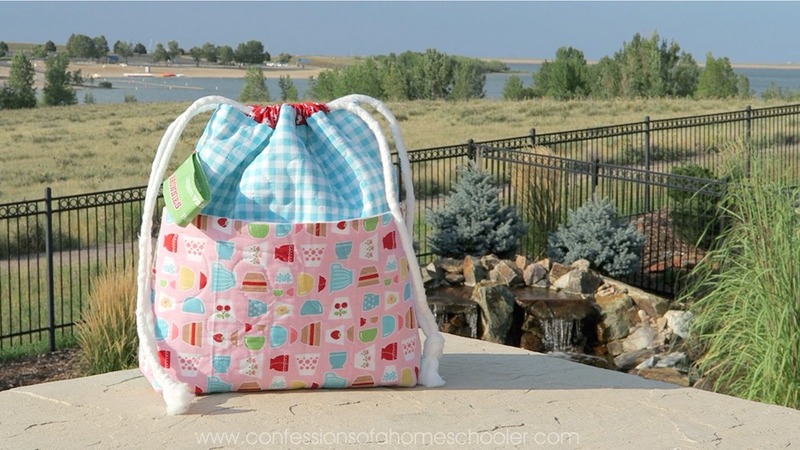 It’s a great beginner sewing project and you’ll not only make a super cute finished bag, but you’ll learn some valuable sewing skills to boot! Olfa Deluxe Cutting Mat: COMING SOON! Finished bag size approx. 12” w x 11” h.
Thanks Erica! 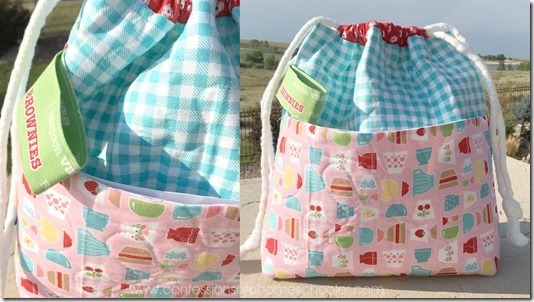 I’ll be making one soon, as my handwork bag I’m using now has a hole in it! 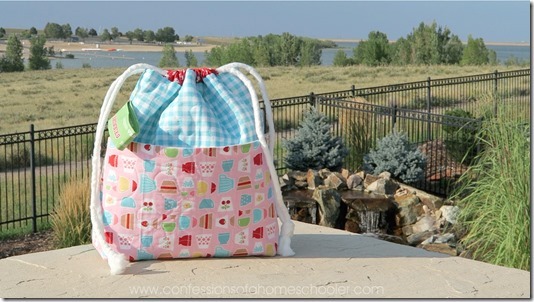 Can this bag be made without quilting? 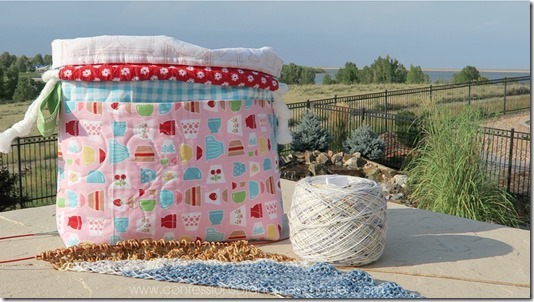 Would you just omit the batting layers? That’s what the fusible fleece is for, to replace the batting/quilting. I used to call those paper things a chatterbox – some say paper fortune teller!